At Farmazan we strive to bring you excellence in furniture and interiors. We view every one of our products as a testament to our values centered around excellence, service and versatility. Our dedicated teams of professionals work around the clock to ensure that quality is in every detail and our master craftsman advice and guide clients in some of the most advanced technologies available. We are proud to provide customized solutions that ensure that your home looks and feels the way it should. Since 2007, Farmazan has been helping to make your dream house a reality using our original products and innovative techniques. That is why we invest in the highest quality of resources for our work. 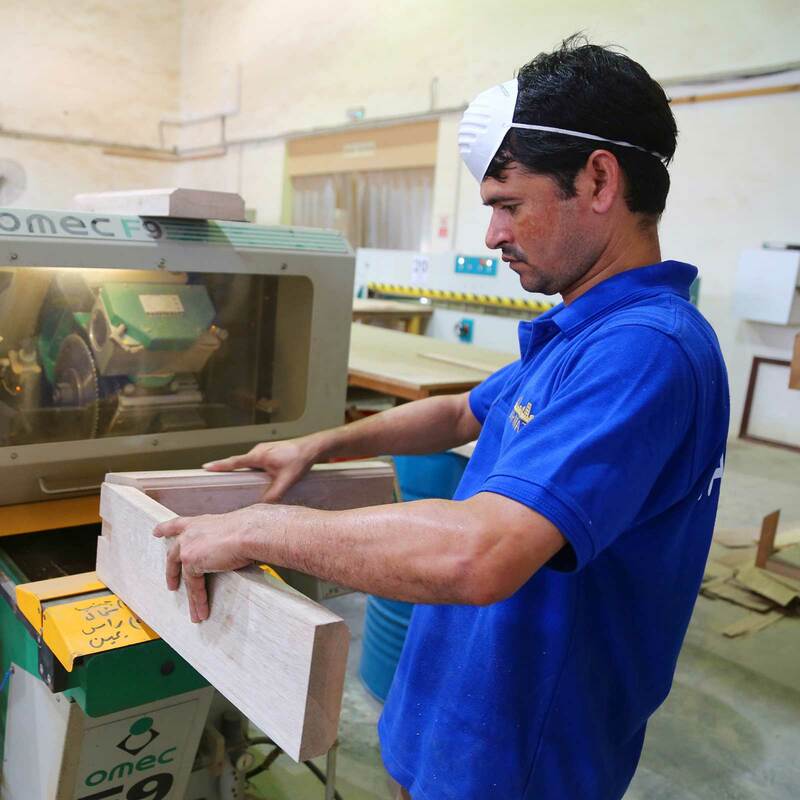 We use cutting edge German technology to design and build our products from wood imported exclusively from Italy and Germany, resulting in top of the class European quality product right here in the UAE. 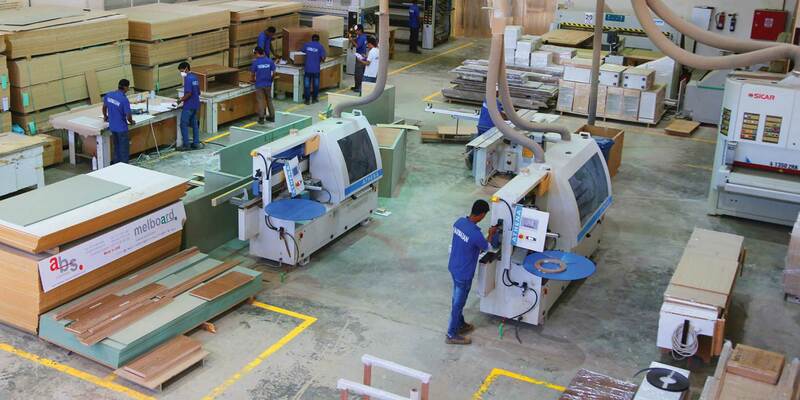 Our factory is based out of the industrial zone in Abu Dhabi and integrates a production facility that covers over 22,000 sq. ft. ,featuring our world-class technology from Italy & Germany that complies with the latest in design and drafting systems, wood products and joinery work. Come and experience our products at our showroom in Deerfields Mall and on Electra Street, Abu Dhabi. Our team of experts are happy to provide you with guidance and consultations on all your home requirements at no extra charge. To provide smart solutions for better living by offering specially crafted, efficient, and high quality products at competitive rates. Our vision is to make your dream home a reality. Think of your dream home and leave the rest up to us! Our qualified team of experts is just a call away. We assess your requirements, take measurements, note your customised needs, adjust to your available budget and provide you with tailored solutions for your home. We ensure that you get a holistic view of what your kitchen/wardrobe would look and feel like, right from the designs to the textures at no additional charges! Farmazan’s high end production facilities ensures prompt delivery of your ready custom made wardrobe/kitchen in less than 30 days (from the time of design approval), guaranteeing zero defect products engineered by European technology.